The European Strategy and Policy Analysis System (ESPAS) provides a framework for cooperation and consultation at administrative level, on a voluntary basis, between the European Parliament, the European Commission, the Council of the European Union, and the European External Action Service, with the Committee of the Regions and the European Economic and Social Committee as observers, to work together on medium and long-term trends facing or relating to the European Union. In 2015, we inaugurated a three-year work programme of events, built around key themes laid out in the ESPAS Report on Global Trends to 2030: Can the EU Meet with Challenges Ahead? 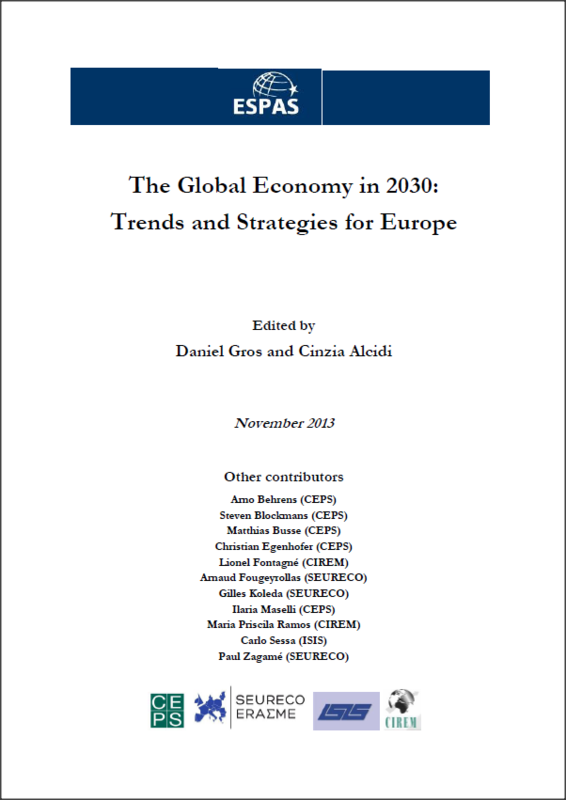 Read more about Global Trends to 2030: Can the EU meet the challenges ahead? Looking to 2030, global change will be occurring at an accelerated pace in an unpredictable fashion. The world in 2030 will be a more fragile place due to the rise of economic interdependence, the diffusion of power, and the disruptive potential of technological innovation and extreme events. Ten years ago, for example, the SARS outbreak cost businesses $60 billion – and caused the loss of about 2% of East Asian GDP. Vulnerability to unexpected events – such as the 2010 Icelandic ash-cloud or the 2011 Japanese tsunami – will only increase as global supply chains expose states and societies to the effects of political crises and disruptions, even in distant regions. Weak or rigid governance systems will increasingly struggle to respond to these trends. In this less predictable world, power shifts will not be linear, not least due to the proliferation of domestic challenges in emerging economies. Whether they are in relative rise or decline, the risk may be that many governments become more introverted and less inclined to international engagement and compromise, as they cope with increasing turbulence at home. Conversely, a faster-changing world will offer wide-ranging options and new opportunities to more actors – both state and non-state – who are flexible and quick enough to seize them. Cities may lead efforts to reduce carbon emissions; smaller states, like Sweden, Singapore or Qatar, may shape international agendas and regional affairs through the use of technical leadership or coalition-building. Power shifts will not necessarily be a zero-sum game; the gains of some need not entail losses for others. Governments, regional organisations and international institutions will struggle to cope with the twin trends of increased interdependence and greater fragmentation. With a larger range of influential state and non-state actors, managing complexity and setting political agendas will become more challenging at both the domestic and international levels. This could result in a deficit of leadership and governance on the global stage. Future influence in international affairs will depend on how state and non-state actors deploy their respective power assets. As power becomes more diffuse, it will also become more constrained, which will put a premium on the ability to partner and build political coalitions. This report presents the findings of a study of global societal trends and their impact on the EU in the next two decades. 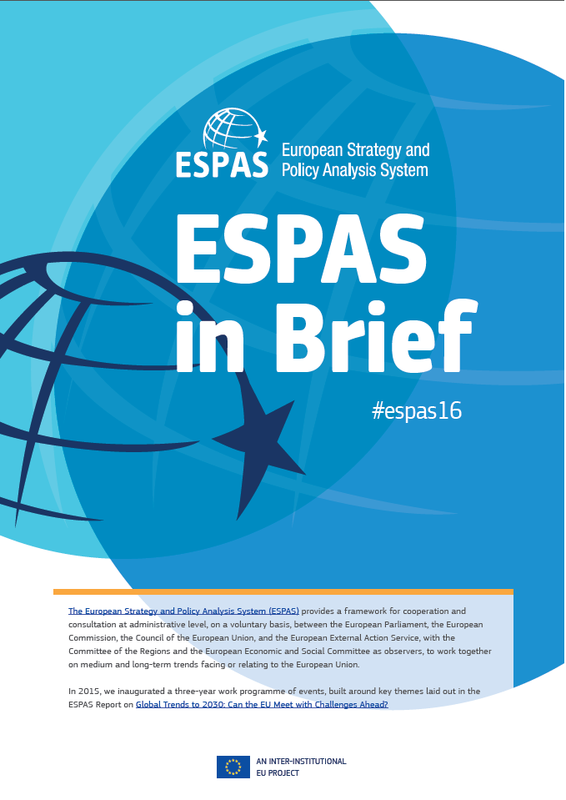 The work is part of the European Strategy and Policy Analysis System (ESPAS) set up to develop a lasting framework to assess global trends and to develop policy responses across EU institutions over the next institutional cycle (2014-2019). The first phase of the project culminated in a report on the long-term, international, domestic, economic and political trends facing the European Union; the second phase of the project split trends into three streams, focusing on the economy, governance and power, and society. 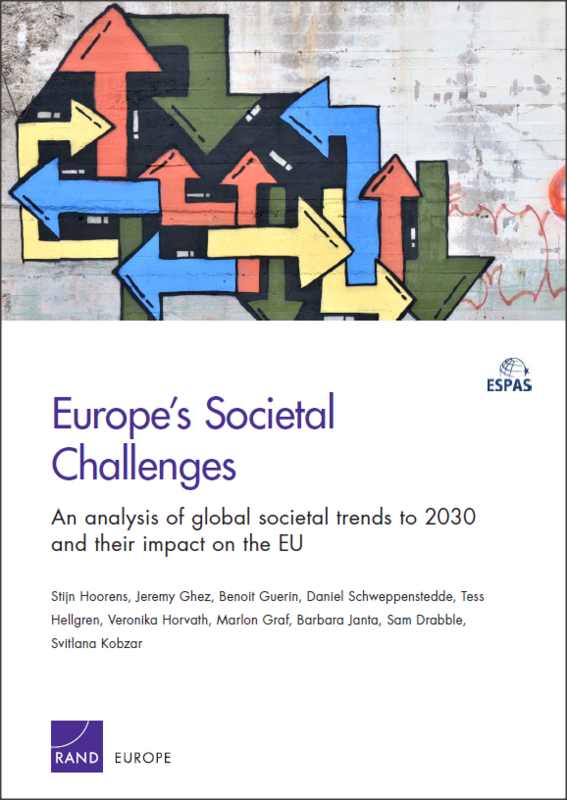 This Trend Report aims to explore the evidence base, uncertainties and potential trajectories underpinning global societal trends and their impact on the EU. 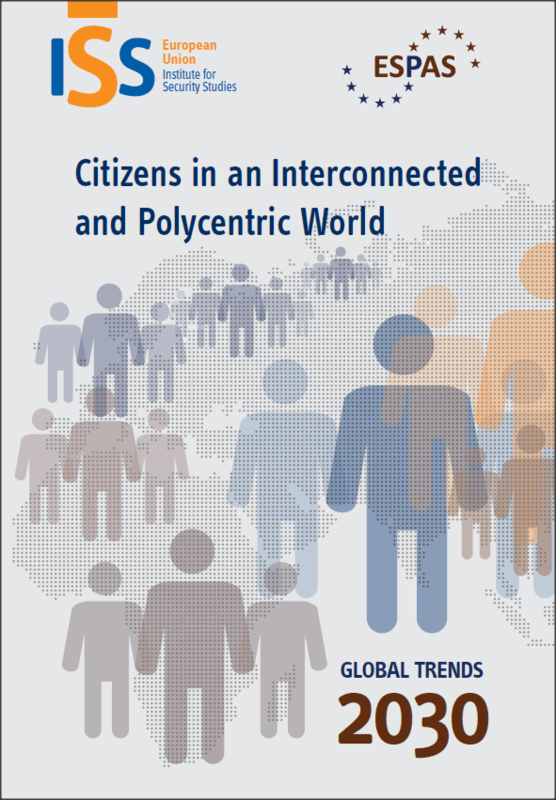 The work is based on a review of the available data and literature on societal trends in a number of thematic areas. 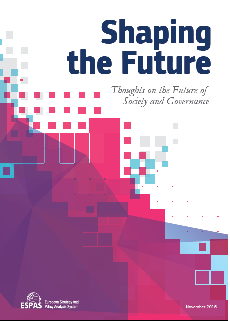 It also builds on inputs harnessed through an online Delphi exercise involving more than 200 international experts, as well as a series of 29 semi-structured interviews, involving experts from academia and think tanks, policymakers, and leading thinkers from the private or third sector. 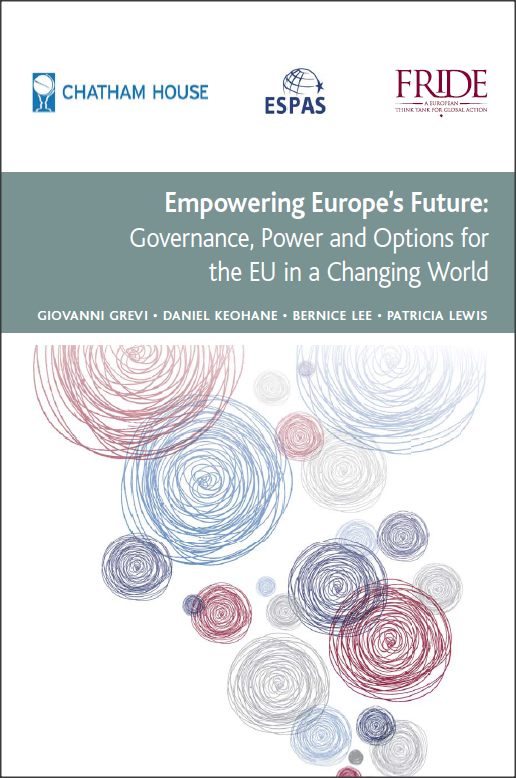 This report, edited by Álvaro de Vasconcelos, contains the findings of the European Strategy and Policy Analysis System (ESPAS) research project. 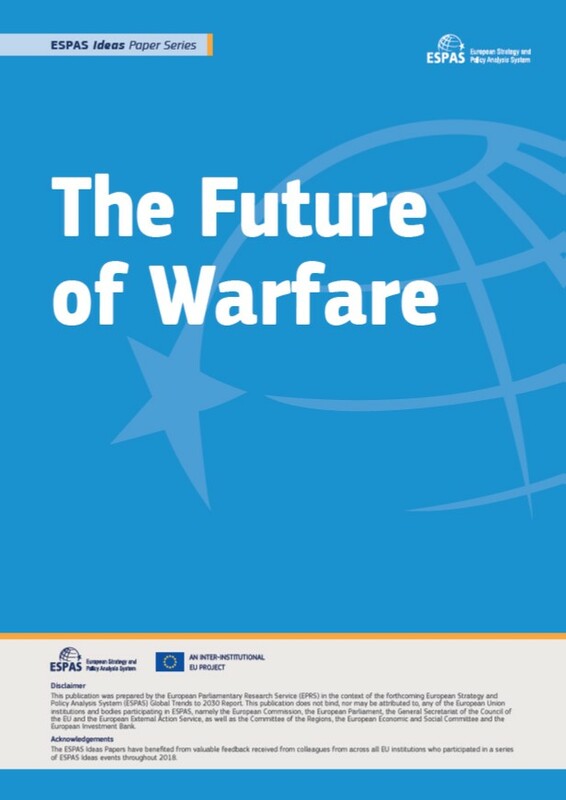 The EUISS was commissioned to produce the ESPAS Report on Global Trends 2030 by an EU inter-institutional task force. An interim version of this report was presented to the European Union in October 2011. The report identifies several global trends that will shape the world in 2030. They include: The empowerment of the individual, which may contribute to a growing sense of belonging to a single human community; Greater stress on sustainable development against a backdrop of greater resource scarcity and persistent poverty, compounded by the consequences of climate change; The emergence of a more polycentric world characterised by a shift of power away from states, and growing governance gaps as the mechanisms for inter-state relations fail to respond adequately to global public demands. The main body of this report consists of four parts. Part I sets out the main global trends and concentrates on a number of areas where our analysis deviates from received wisdom, namely population growth, globalisation and resource scarcity. This part is relatively technical and is meant to provide the analytical background to the remainder of the report. For the convenience of the busy reader, the other parts have been organised in such a way that they can be read independently. Part II provides a snapshot of the global economy in 2030, documenting the likely evolution of the main trends combined with the outcome of a multi-country modelling exercise in terms of income and growth, but also in terms of affluence and poverty. This part also stresses some of the less conventional aspects that result from our analysis. The detailed description of the central scenario and an alternative scenario is available in Annex A. Part III describes the trajectory of Europe’s transition from today’s depressed economy to 2030. The part also contains a summary of the main findings generated by an econometric modelling exercise focused on Europe. Greater details are presented in a separate Working Document presented in Annex D.
Finally, Part IV discusses the policy challenges that arise for Europe from this view of the world in 2030 and the possible emergence of game changers.